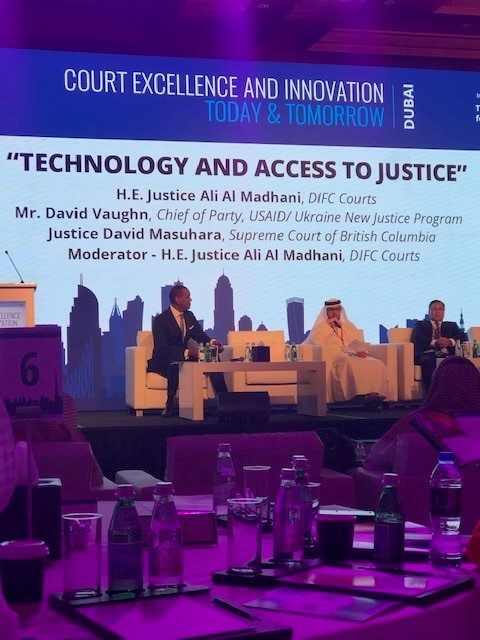 USAID New Justice Program Chief of Party David Vaughn participated in the International Consortium for Court Excellence (ICCE) Conference on Court Excellence and Innovation: Today & Tomorrow conducted on November 7-8, 2018 in Dubai, UAE. 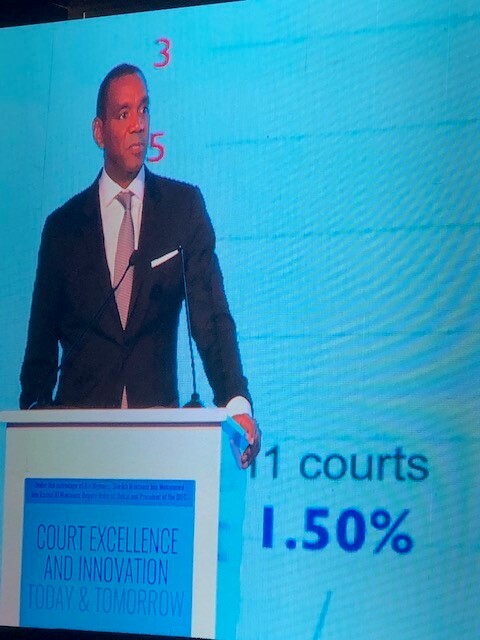 The ICCE Conference brought together judges, court administrators, legal practitioners, policymakers, and legal tech experts to highlight the key values and success factors in the International Framework for Court Excellence (IFCE) and identify international best practice and challenges for courts around the globe. 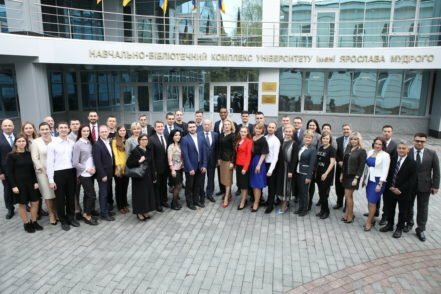 It included a discussion of the practical strategies that are vital to achieving court excellence within all judicial systems. 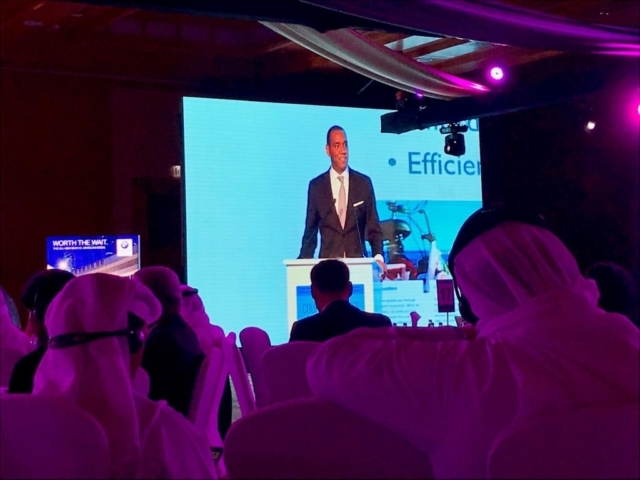 It also provided delegates from around the world insight into the developments taking place in court innovation, service excellence and look at future technologies like AI, blockchain, robotics and their legal implications on courts around the world. 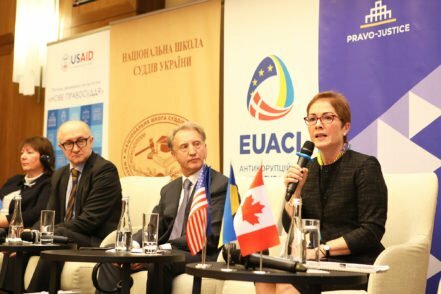 David Vaughn shared experience in using technology to increase access to justice and judicial independence in Ukraine. He presented the results of the pilot eCourt project and the subsequent nationwide roll out of an e-filing module, as well as the design of an online dispute resolution (ODR) initiative. © USAID New Justice Program. 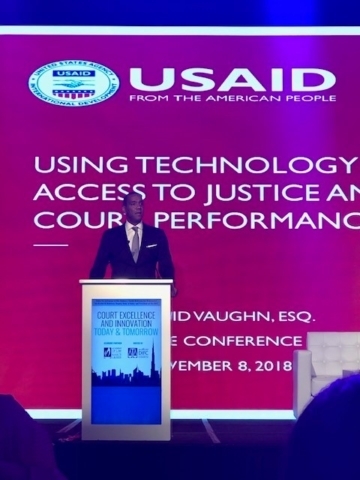 Development of this website was made possible through support provided by the U.S. Agency for International Development (USAID) under the terms of USAID New Justice Program. The individual opinions published in the materials on the website do not necessarily reflect the views and opinions of USAID or the U.S. Government.